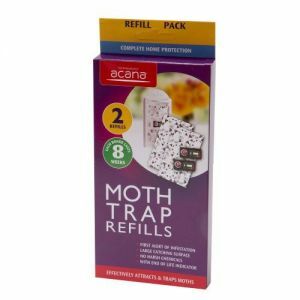 Add Acana Carpet Moth Control Attack Pack to your basket? Your carpets, curtains and furniture are some of the most expensive things you own. 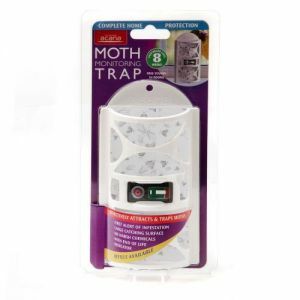 But most insurance companies don't protect you from the biggest threat to your home: moth infestation. 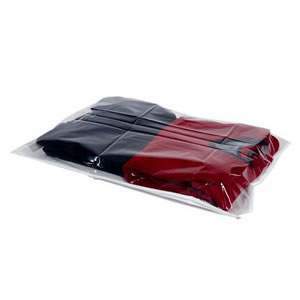 It's up to you to get rid of these destructive pests, but you're not on your own. 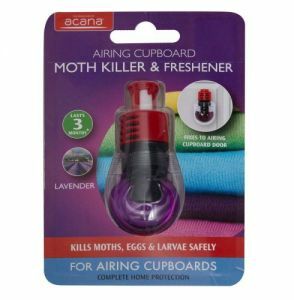 Acana's uniquely formulated anti-moth spray offers complete home protection and is the only spray that doesn't just deter moths, it kills them. 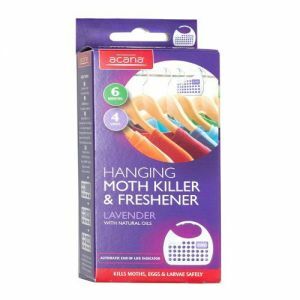 In just 15 minutes after application, Acana's potent solution will kill all adults, eggs and larvae hiding in your precious carpets, rugs or sofas. And while it's lethal for them, the spray is non-stain and safe for you, your children and your pets, making it ideal for complete home coverage. 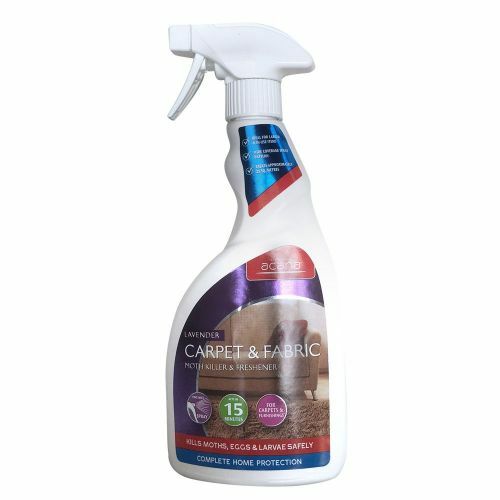 Each bottle contains enough formula to cover an average living room carpet and remains potent for 3 months, letting you enjoy your home without clothes and carpet moths enjoying it too. 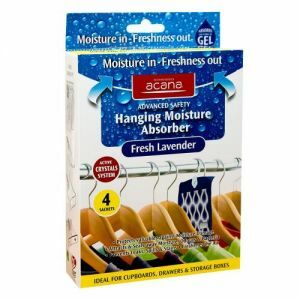 For best results, thoroughly vacuum and wash your the treated fabrics and allow them to dry before applying the spray. 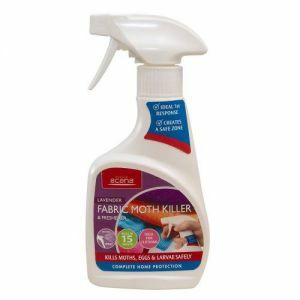 Carpet moths thrive in the dark and you may not know you're infested before it's too late. Check beneath and behind furniture to look for signs of infestation. 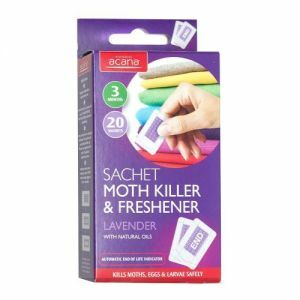 Combine with Acana Moth Killer and Freshener Sachets to keep your clothes safe as well as your carpets and furniture.